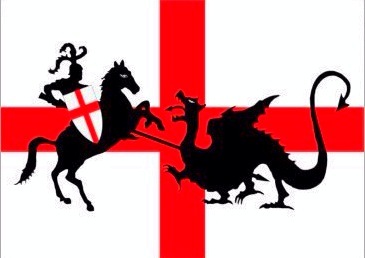 Eazipay Direct Debit Bureau: Who is Saint George? Every Country in the UK has a patron Saint. Perhaps the most famous is St. Patrick from Ireland, but in Scotland St. Andrew is well celebrated, and the proud Welsh celebrate St. David. But here in England our Patron Saint's day goes by a little underwhelmingly. Why is this? There has been a movement for some time to make it a public holiday, that would help for sure. We didn't really know a great deal about St. George, other than he had slain a dragon. and wasn't actually English! So we looked into it. We are not the only country to celebrate St George. He is celebrated in Bosnia and Herzegovina, Bulgaria, Canada, Croatia, Cyprus, Georgia, Greece, Macedonia, Romain and Serbia. Several cities also celebrate him around the world. So who is he? He was a Roman Soldier, born in Syria Palaestina, but he was a Christian martyr, so he was one of the early Christians. His connection to England is thought to be through the Crusades and soldiers bringing stories of him appearing to them and helping win the battle of Antioch in 1098. Those soldiers also passed on the legend of him being a dragon slayer. It wasn;t until King Edward III founded the Order of the Garter in 1348 and placed it under St. George's patronage that the flag started to really take off. The soldiers were required to wear a 'signe of Saint George' on their uniforms. So there you have it, a little history lesson there. We think we should celebrate the day a bit more than we do. So we will toast him this evening.